Need a break from city life? Need some time to relax and recharge? 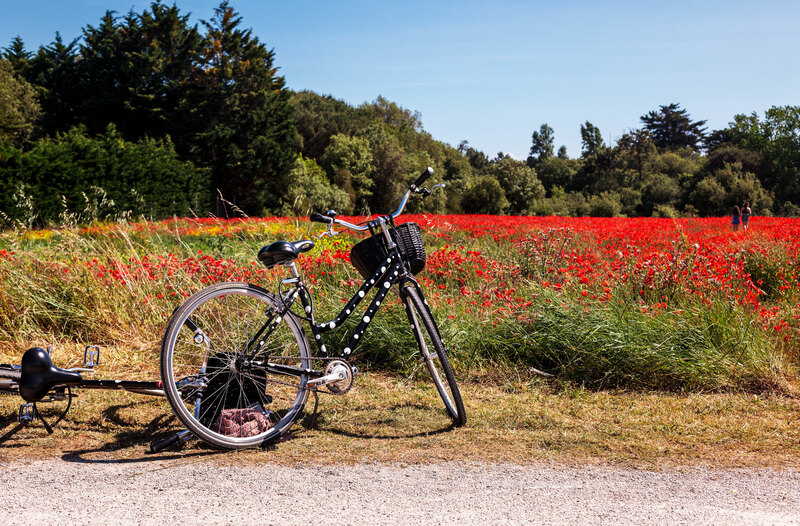 The Ile de Ré, with its healthy, invigorating Atlantic climate and exceptional sunshine, is the ideal destination for a weekend break or longer holiday. Take the time to slow down at La Baronnie Hôtel & Spa, taking in all the luxury four-star comfort we have to offer. Old roses, wisteria and hundred-year-old trees line our beautiful gardens. Read in the shade of our lime trees, sip a glass of wine under the pines, relax in the sun, and let the tranquil surroundings enchant you. Here at La Baronnie, we prize peace and quiet above all else. During your weekend stay (or longer), the four-star La Baronnie Hôtel & Spa can offer you bespoke treatments, tailored to your needs. The Île de Ré offers a wide range of sporting and cultural activities that the whole family can enjoy. As an official historical monument and the home of the Lord of Ile de Ré in the 18th century, the four-star La Baronnie Hôtel & Spa is a particularly apt base for visiting the island’s fascinating historical sites. Treat yourself to some quality time together on an unforgettable romantic getaway in our luxury hotel, just a stone’s throw from the Saint-Martin de Ré port in the beating heart of the Ile de Ré.